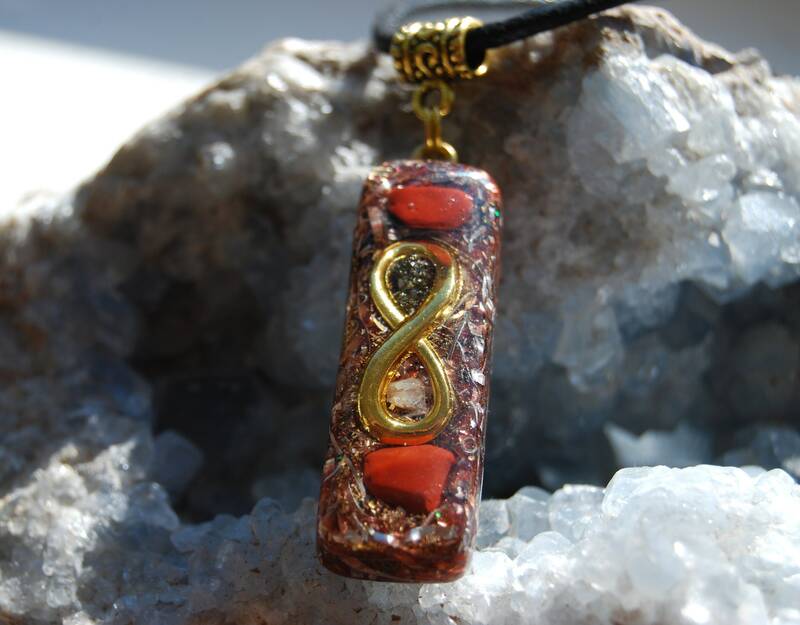 This lovely Orgonite® pendant contains aluminium, brass, bronze and copper shaving. 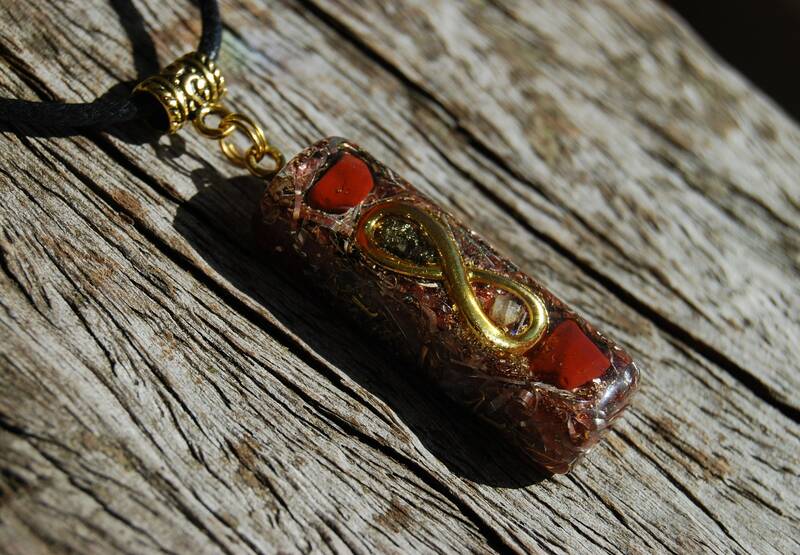 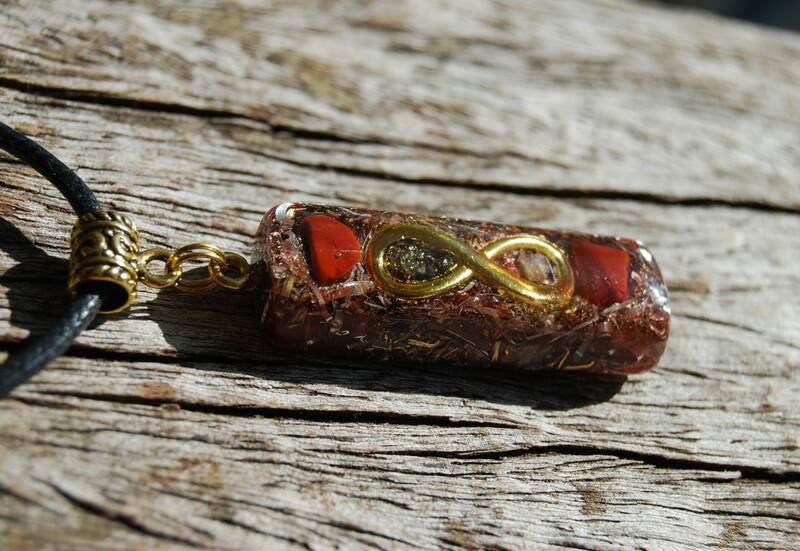 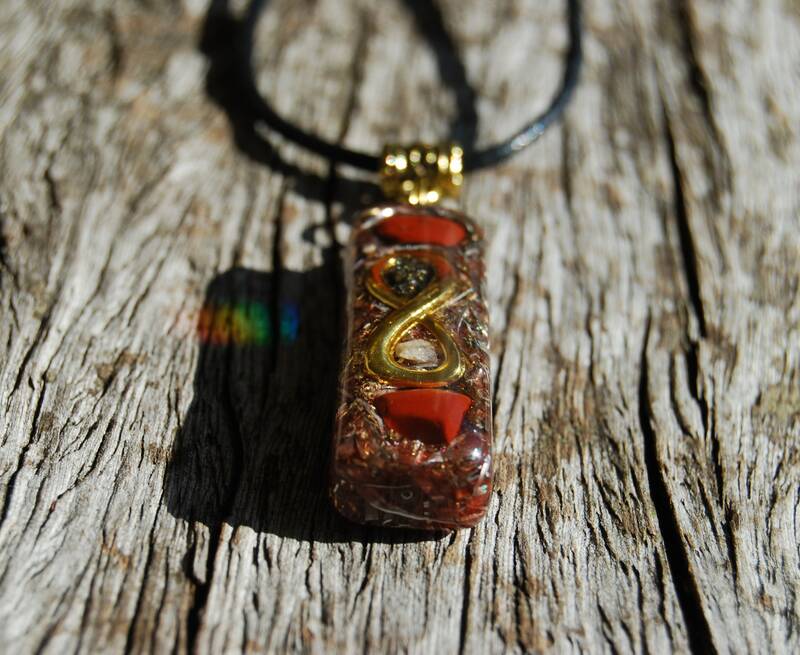 The main stone is red Jasper stones in the front. 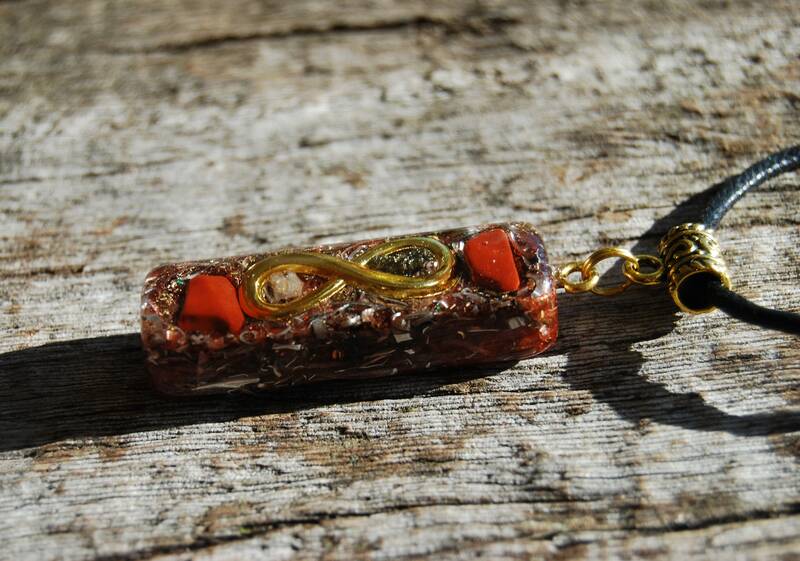 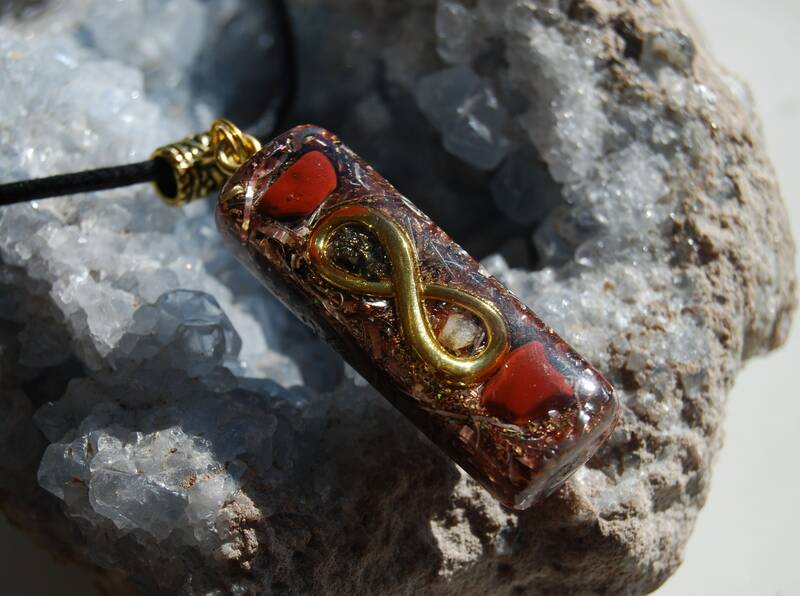 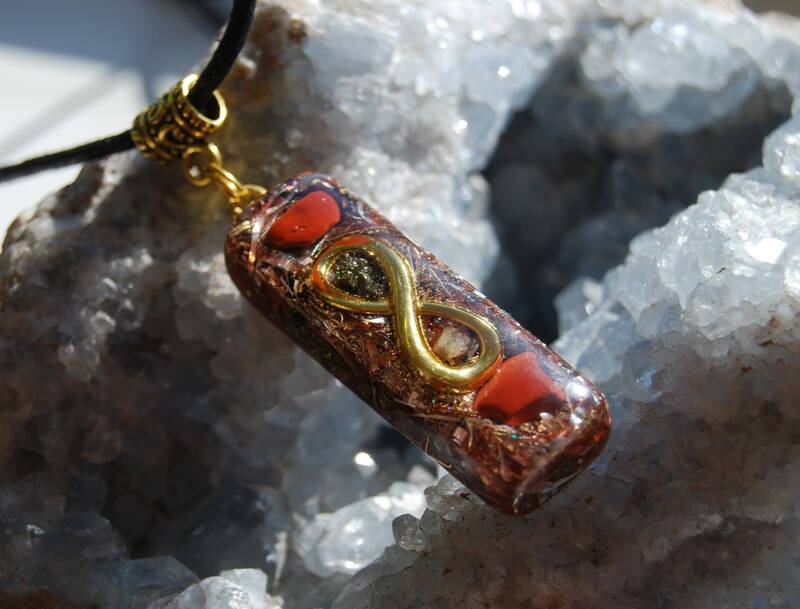 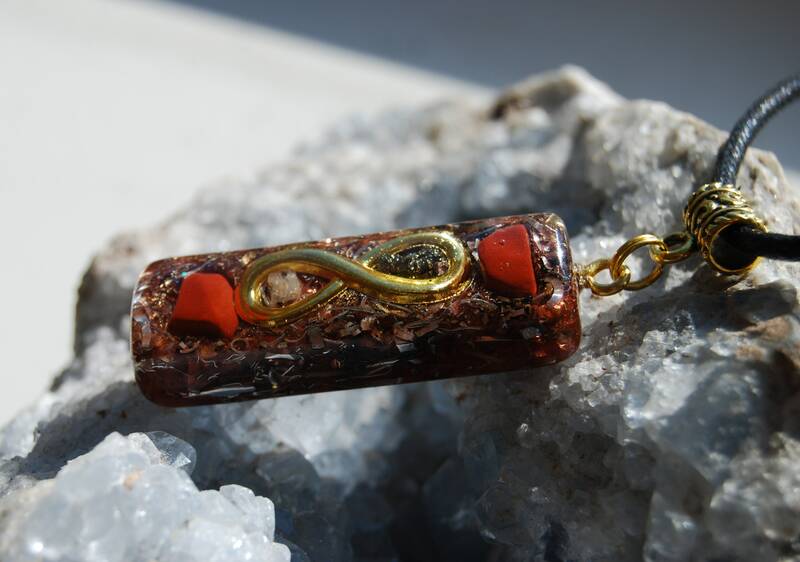 It furthermore consists of Rhodizite (for enhancing the other stones), Pyrite (front - to increase the overall power of the orgonite®), Selenite pieces (keeps the energy fresh and cleanses and recharges the other crystals) and a small terminated clear Quartz point (for piezo electric effect) all within a durable resin setting. 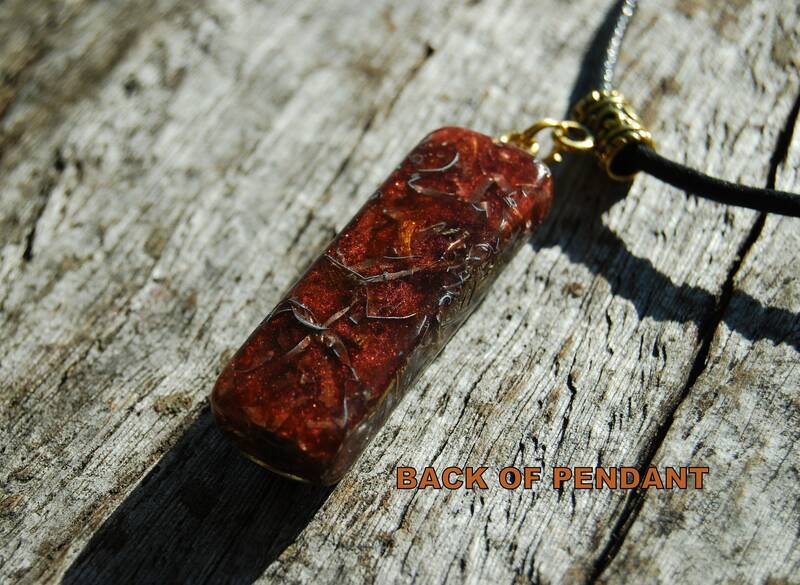 It comes on an adjustable strong cotton cord (adjustable up to 60 cm / 24").